Sep - 04 | By: Oregon Film | no comments. CHROMA Chroma makes high-design tools for the creative class. Their first product is Chroma Signal, a mobile app that allows users to create, share, and subscribe to YouTube playlists. Chroma makes it easier to create and distribute lo-fi TV content with great storylines. Built Oregon Built Oregon is a digital magazine that will highlight the statewide network of entrepreneurs and innovators through compelling narrative, engaging content, and focus on storytelling – both written and interactive. These stories will inspire entrepreneurs and create connections between businesses and support organizations. 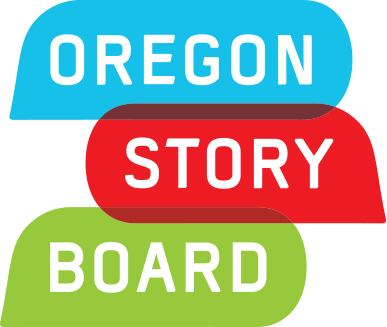 Built Oregon stories will be read and shared beyond the state lines. Check out their Kickstarter! Mountain Machine Mountain Machine is a game studio founded in early 2012 by a group of 6 friends with a passion for story, art, music, and video games. Based in Portland, Oregon, Mountain Machine is bringing a new perspective on emotional storytelling into the gaming world. Studio Kate Studio Kate is a Portland video production house that gives voice to people and issues that need to be heard. Studio Kate tells meaningful stories to jolt the world into understanding, empathy and action. A Fourth Act A Fourth Act designs processes and builds digital tools that unleash the full potential of stories to create long-lasting positive impact. By blending technology and participatory practices, we deepen the connection between storytellers and communities creating opportunities for co-creating knowledge, reframing issues, and inspiring innovative solutions. See them on FastCo and Ochre.